5 Reasons to Exercise Today! To maintain a healthy lifestyle, exercise must be a part of your regimen. But working out doesn’t come as easily to some people as it does to others. Some people have created a habit from a young age as athletes in school, while others were not in the same mindset. So similarly to other aspect of one’s life, exercising can be simply a matter of creating a habit. Personally, I’ve had a love-hate relationship with exercise for years. Growing up in Europe, an active lifestyle of lots of walking, biking, and regular physical education classes were just part of life. So when we moved to the US, these parts of our lives changed, which meant that exercising was a much more involved process as it required going someplace to do a specific activity. 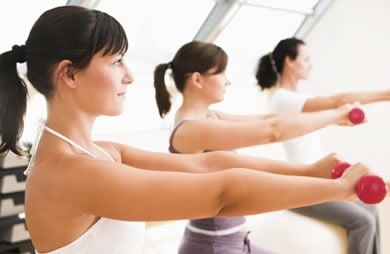 I found going to a workout gym uncomfortable, but sooner or later, I started going to yoga classes, which seemed less intimidating and enjoyable, while also getting a great workout. Over the years, I also really enjoyed getting outside, taking hikes, long walks, and swimming. Most importantly, over this time, I’ve learned the importance of regular physical exercise and have chosen to incorporate it into my life, for my own health and well-being. But it also allows me to talk to my patients about it. So here we go! 1. For better health: A number of studies have shown a reduction in lifestyle-related illnesses, and even deaths, among people who exercise, such as heart disease, cancer, diabetes, obesity, and more. 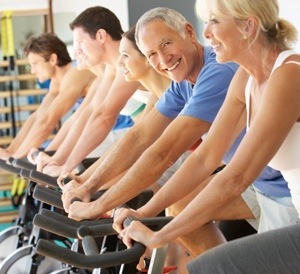 Even 30 minutes of moderate exercise each day makes a significant difference. 2. For LESS stress: Exercise is a great way to reduce physical and mental stress in the body, as you increase the amount of oxygen that you are getting to your brain and muscles. At first, the rewards may not be immediate, but if you give it 3-6 weeks, you will be able to note an increase in the “feel good” hormone, serotonin, as your stress levels and even your mood improves. Your emotional state, including anxiety and depression, may see a change for the better naturally. 3. For a speedy metabolism: Your metabolism account for the quantity of calories you burn each day and how quickly that takes place. Strength training helps you do this more efficiently as it builds muscle mass, burning calories while the body is resting. If strength training sounds intimidating (I know it did to me), there are ways to do it without lifting a lot of weight in a gym. You can use your own body weight, smaller weights at home, and machines. 4. For a vibrant future: Exercise has been shown to help create neural connections in your brain that sharpen thinking and decrease fatigue, which are extremely important as we age and our cognitive abilities start decreasing. As the brain is getting more stimulation and oxygen, so does the rest of the body to help decrease the muscle loss, also accompanied with the aging process. 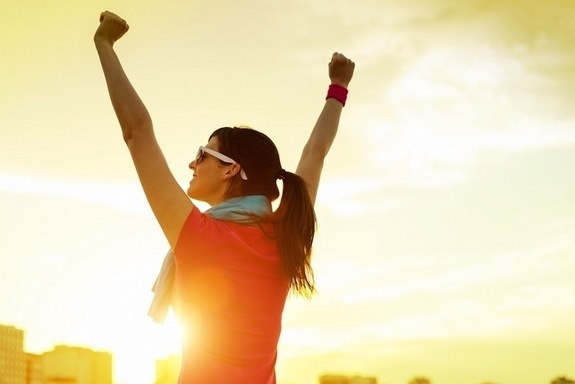 As a result, exercise will keep you strong and independent physically and mentally for longer. 5. For a higher self-esteem: When you are fit, you look better, which makes you feel better and makes you feel and BE more attractive to others. Regardless of your relationship status, you will look and feel your best for yourself and your partner, that can open the door to a long and happy future. So let’s vow to leave the laziness, busy schedules, and other excuses at the door, and go out and exercise! It’s okay to start out small and work your way up. Get inspired and then some. Create a habit of even 30 minutes a day. Add a few pounds of weights or do planks in between commercials of your favorite TV show. Like Nike says, just DO IT! We are all well aware that eating processed food is not a good idea as they contain a lot of saturated and trans fats, sugars, and other chemicals, which are all very toxic as well as addictive in nature. Addictive, yes! Because the more you eat these foods, the more you crave the same foods, which are bad for your health and your waistline. Sometimes we get trapped by the labeling that manufacturing companies put on their “healthy” products, but the only way to ensure you are not eating any harmful additives and chemicals is to READ the label. It is considerably better to have fewer ingredients in a packaged product and that these ingredients can easily be identified as actual food. Avoid anything that contains ingredients that sound like a chemistry experiment. Again, read your packaged food labels on everything, even the “healthy,” “natural,” and “organic” products. High-Fructose Corn Syrup (HFCS): First and foremost, HFCS is NOT the same as sugar or honey to the body!!!! It is a chemically manufactured sweetener that converts glucose into fructose, which is much sweeter and cheaper. Our bodies are not properly equipped to process HFCS and result in free and unbound sugars that must go through extra metabolic steps to be utilized. But all this carries many multiple negative health effect. Princeton University study has shown significant weight gain in lab animals, while long-term consumption of high-fructose corn syrup led to abnormal intra-abdominal fat, and a rise in circulating blood fats (triglycerides), which are all known risk factors for diabetes, high blood pressure, coronary artery disease, and cancer. The amounts of HFCS are extremely high and concentrated, allowing a person to consume much more than they realize or intend, while they are also highly addictive because their intense sweetness over-saturates the reward center in the brain, just as cocaine would. In addition, the manufacturing process altered the ratio of fructose to sucrose in a disproportionate manner, while the excess fructose is metabolized to produce and store fat in the liver and muscles. HFCS is used as a “flavor enhancer” and a way to brown foods, and is present in large number of the following products, so consider before buying these: salad dressing, breads and other baked goods, cookies, crackers, cereal, spaghetti sauce in cans and jars, salsa, fruit juice, soft drinks, yogurt, frozen meals, condiments, cough syrup, etc. Read all of packaged food labels to ensure the best possible ingredients for the health of your family! Bisphenol-A (BPA): BPA is a chemical compound that creates endocrine disruption in the body because BPA imitates an estrogen hormone. BPA has been found leached out of polycarbonate plastics, especially during heating of any sort. Multiple studies have shown that BPA is linked to myriad health effects in rodents: breast and prostate cancer, genital defects in males, early onset of puberty in females, obesity and even behavior problems, such as attention-deficit hyperactivity disorder (ADHD). The problem is that BPA is quite unstable as it interacts with hormone receptors on cell membranes, and leads to physiological effects even in small doses. BPA is a growing plastics industry at 10% increase each year, which produces baby bottles, food packaging, canned foods, water bottles, juice bottles, eyeglasses, headlights, CDs/DVDs, and many other consumer products, even in paper and resin. Monosodium glutamate (MSG): MSG is a neurotoxic flavor enhancer that may create health risks, such as obesity, headaches, migraines, asthma, heart irregularities, endocrine disorders, reproductive disorders, behavioral and learning disorders, neurodegenerative disease, and cancer. MSG is contained in many processed foods, including chips and crackers, fast foods, soups, sauces, canned foods, hydrolyzed vegetable protein, protein powders, spices and seasonings, etc. So what should you do?! The best way to avoid these toxic food additives is to maintain a healthy, balanced diet of unprocessed vegetables, fruit, meat, fish, and grains. In addition, keep the amount of processed foods and drinks to a bare minimum. It may seem like a large feat at first, partially due to the addictive nature of some of these chemicals. But it is important to start even with small steps, such as switching from frozen to canned vegetables and fruit. Incorporate crunchy vegetables, nuts and seeds as healthy snacks, instead of salsa and chips/crackers. These small steps result in feeling better and healthier, which will make larger changes over time. Pesticides are poisons and heavy toxins, whose negative effects can often far outweigh any positives of getting rid of of the pests. Also, they have been linked to a range of health problems, including asthma, hyperactivity and behavior problems, cancer, learning disabilities, reproductive disorders, and compromised brain development. Children are uniquely vulnerable to pesticide exposure, and their immediate symptoms, especially in children, include headache, anxiety, blurred vision, irritability, weakness, slurred speech, cough, shortness of breath, asthma attacks, skin rashes, abdominal pain, and vomiting. Avoid toxic chemicals inside and outside of the house. Even when used according to safety directions, they can pose health risks. Consider safer pest management practices in and around the home. Keep counters, cabinets, and overall cleaning area clean and uncluttered. Preventing entry of pests by proper structural support and techniques. Taking off shoes at the door to prevent tracking pesticides indoors onto the floor. Increase air circulation by opening windows and doors regularly and by utilizing fans. Reduce moisture in your home’s basement with a dehumidifier. Use native plants and grasses for landscaping. For natural resilience to pest problems. Children eat and drink proportionately more than adults, which results in more exposure to pesticides from food and drink. Educate yourself on less toxic forms of pest control. “Straighten up!” have been the words that echoed from my mother for most of my childhood. That is how I earned myself a spot in a ballet class in second grade. But she had a great point….POSTURE has a direct effect on the health and well-being of an individual. Each of these postures puts extra weight and pressure on the spine and can lead to a number of debilitating problems from tension and soreness to headaches, neck and back pain, and fatigue. What is becoming increasingly evident is that poor posture ultimately influences the spine and nervous system, and in turn, overall health. Poor posture impacts the nervous system, which significantly alters how a person operates day to day. Poor posture may have adverse effects on the well-being, overall mood and ability to concentrate, study effectively or even work. Abnormal input and output from the body does not allow it to function at its full capacity. Chiropractic adjustments improve the function of the nervous system and in doing so they enhance all of our bodily functions. Chiropractors are experts in the care of the nervous system and spinal health. They will help to identify and address the lifestyle habits which may have initiated the postural issues. In most cases, postural problems can be corrected and sometimes even reversed. At the end of the day, a healthy spine and nervous system means a healthier life. Finding a recommended chiropractor in your area is a wise choice. If you need help with that, I can certainly be of assistance, so do not hesitate to ask. Improving the ergonomics at home, at work, and in the car may have an additional benefit when seated. These changes will help decrease the pressure on the spine as well as decrease discomfort and fatigue. A huge part of what I talk to my patients about is nutrition. And I am certain that you have heard it a countless number of times that you should eat healthy, which is a great notion. However, what does eating healthy actually mean?! Therefore, if it comes in an industrialized package, it is NOT real food!!!! Industrially processed foods have included a number of additives that are harmful to our health, which include white flour, white sugar, high fructose corn syrup, processed soy, industrialized seed oils, toxic chemicals, and preservatives. Another current issue are the GMO-crops that are not labeled and used in much of the processed foods; that’s why buying organic is essential. Organic produce in your region during the season for a particular crop contains more nutrients, such as polyphenols and antioxidants like vitamin C, vitamin E and quercetin, since the nutrients retain the majority of their value while they are exposed to light during photosynthesis. Buying locally allows for a shorter amount of time between the harvesting of the produce to the consumption by buyers, while it also supports the local economy. Organic farming practices play a large role in how the food is grown and handled without pesticides, herbicides, and other harmful chemicals, which particularly significant to those with vulnerable immune systems – children, pregnant women, and immuno-compromised adults. Consuming pasture-raised meats and wild-caught fish is significant to maximize the nutritional benefit with a better Omega-3 and Omega-6 fatty acid profile, and higher levels of vitamins and micronutrients (vitamin E, beta-carotene, vitamin D, riboflavin, thiamin, magnesium, calcium, vitamin A, B12, and folate). Another consideration is cooking meats on a healthy traditional fat like butter or coconut oil. Pasture-raised animal (meat, fat and dairy) products are the richest known source of conjugated linoleic acid (CLA), which may have anti-cancer properties. The side effects of consuming non-real-food with the nutrient-stripping additives, toxic chemicals, and genetically-modified-organisms begins the cascade of an auto-immune response in the body that leads to systemic inflammation that may result in DIS-EASE. So consider the source of your food next time you shop for yourself and your family as you want to provide the best fuel for optimum health! Feel free to contact me here with any questions regarding nutrition and how to maximize your health, at drtijana.dc@gmail.com, Facebook, or Twitter! Check out localharvest.org and eatwild.com to help you find where you can find local farms and farmer’s market for your own supply of local, organic, seasonal produce! Stress is ever-present in our daily lives. How many times have you heard those around you, including yourself, say that they’re stressed out?! But what does that exactly mean? Physical – strenuous activities, cold/hot temperature extremes, injury (falls, slip, accident, etc. ), subluxated vertebra, etc. Emotional – anxiety, depression, guilt, etc. Chemical – poor diet, chemical toxins in home and environment, etc. So what exactly happens when we get stressed out? However, the issue arises when our bodies become overloaded with stress signals and start not to be able to respond appropriately each time the stimulus occurs. 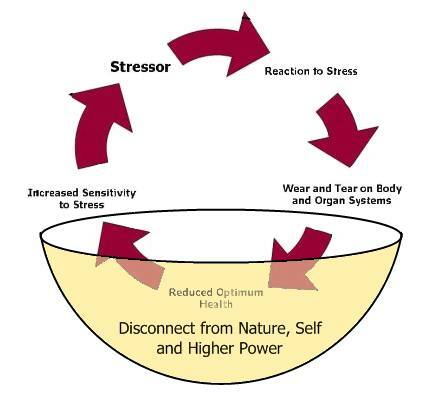 The body starts slowly becoming desensitized to a stressor and it is not able to properly engage in a stress response. On the other hand, the body may also become unable to turn off the stress response and will encounter every type of stimulus as a threat. So what do we do about a inappropriate stress response? Do deep breathing, yoga, relaxation techniques, exercise or other physical activities, spend time outdoors, and many more…. 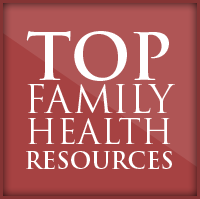 Recognize that you may need to ask for help from family, friends, or a professional! Eat “real food” – whole, unprocessed, unrefined, grass-fed, wild, local, seasonal, and organic!!!!! Avoid toxic exposure in your home and environment; review the labels of household products for BPA, formaldehyde, arsenic, heavy metals, etc. As you see from this very brief summary, there is a lot that we are exposed to each day in terms of stressors. Each person has its individual threshold that they can manage before it becomes too much. So think about where you and your family fit in this picture? Feel free to contact me here to help you evaluate your state of health, at drtijana.dc@gmail.com, Facebook, or Twitter!